You know a butcher's into his work, when he pulls you to one side as you step out of the Gents, to wax lyrical about the quality of his meat. 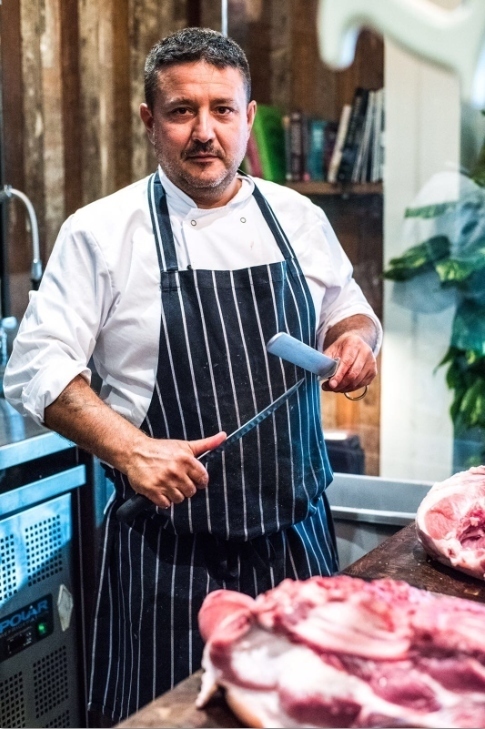 Such is Sal Dodaro's raison d'etre — he's in residence at Radici every Sunday until the beginning of April; each week, 'on stage' with a whole suckling pig, wild boar or some such, sourced from local butcher Turner & George. 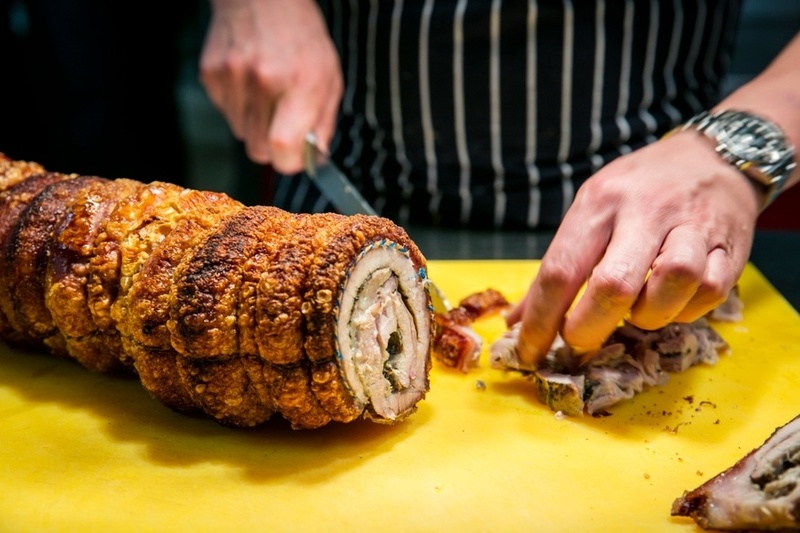 His long-time pal, and Radici chef patron, Francesco Mazzei then cooks the cuts to perfection. As Sal hacks and dices away, he chips into conversation on various tables, with his soft humour and cheeky grin. He's basically the Dean Martin of Sunday roasts. 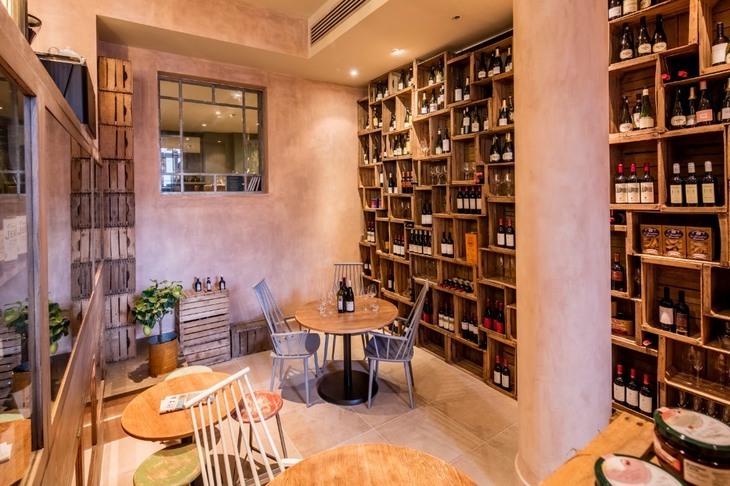 Radici — a bricky but bright trattoria-meets-wine-shop off Upper Street — is the kind of place that restores faith in Islington's Italian roots. And while you might think all banging away with the meat cleaver is off-putting, that's not so. There's a laid back, Sunday vibe to this place — toddlers zig-zag up and down the aisles, parents slurp Aperol spritz, customers call in to pick up bottles of wine. 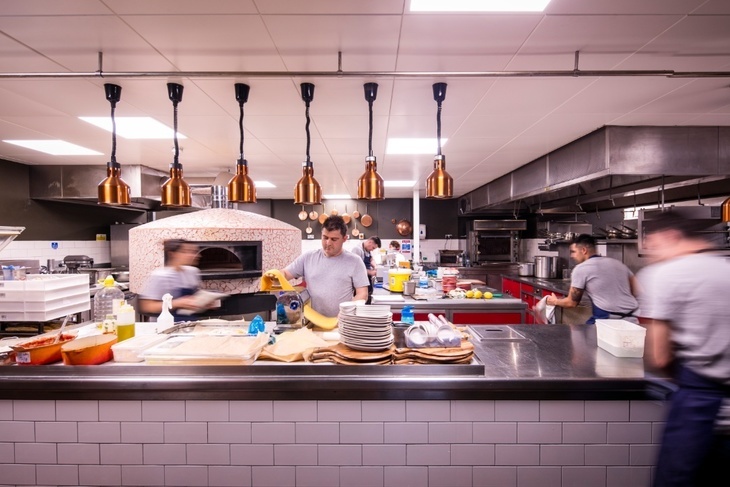 It's the perfect place for those who want to go a notch or two higher than your high street family Italian joint, but still feel at home taking the kids. When we visit, Dodaro is working on cuts of lamb; the chop we order — topped with a lamb sausage and sided with a velvety mash sourced from Chapel Market potatoes — is the sort of dish confident enough to let the meat, and a sprinkling of seasoning, do the talking. The other special we sample — a plate of oxtail ravioli studded with sultanas — doesn't last long, such is its spicy, almost haggis-like contents. The a la carte menu brims with dishes that make you want to do one of those Italian chef finger kisses — not least the tortellini burrata, each pod of fresh pasta popping in the mouth with a burst of sweet cherry tomato and extra-soft mozzarella. Get to Radici for their butchery series if you can, but we can't see this place being a let down any time soon.